These verses really struck me as significant as I read them this morning. Let’s look at these two verses carefully. God has set his own glory above that of the created heavens. And those heavens are a wonder to behold. Just look at some of the beautiful pictures of the NASA Astronomy Picture of the Day. Here I illustrate this (Fig. 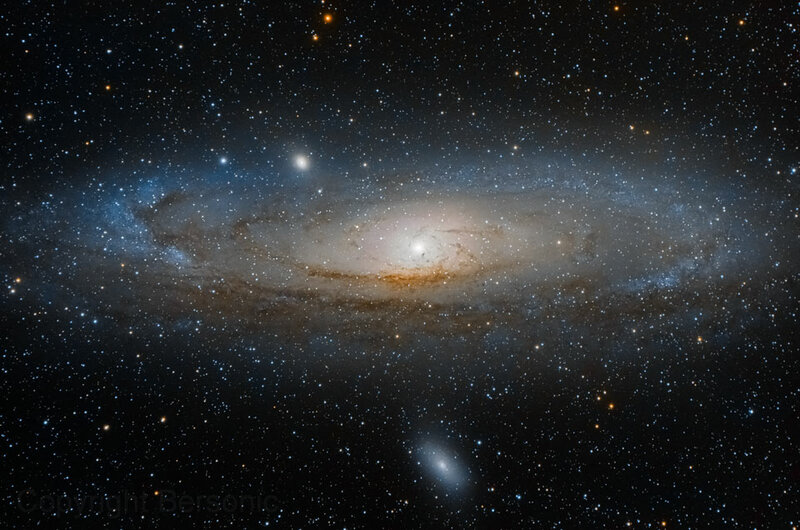 1) with their July 30, 2014 picture of the Andromeda galaxy. Our own galaxy would look very similar to this one. With modern large telescopes we see a universe full of maybe 100 billion galaxies, many of which look like this one. But God’s glory is way above all of this.